The Alvin LabTek Black Utility Chair is a rugged drafting chair designed for heavy-duty performance. 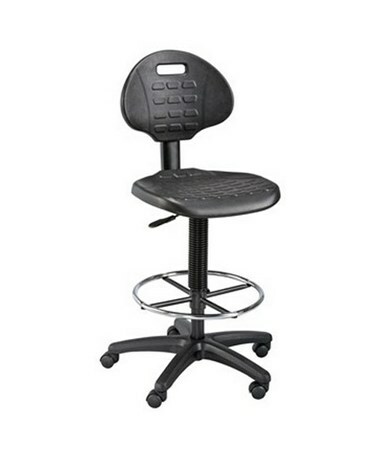 Ideal for heavy and extensive use in laboratories and other work settings, its 18"W x 18"L x 1 ½"H seat and 17"W x 12"H x 1"T backrest are made of durable polyurethane material that resists punctures, water, and most chemicals. 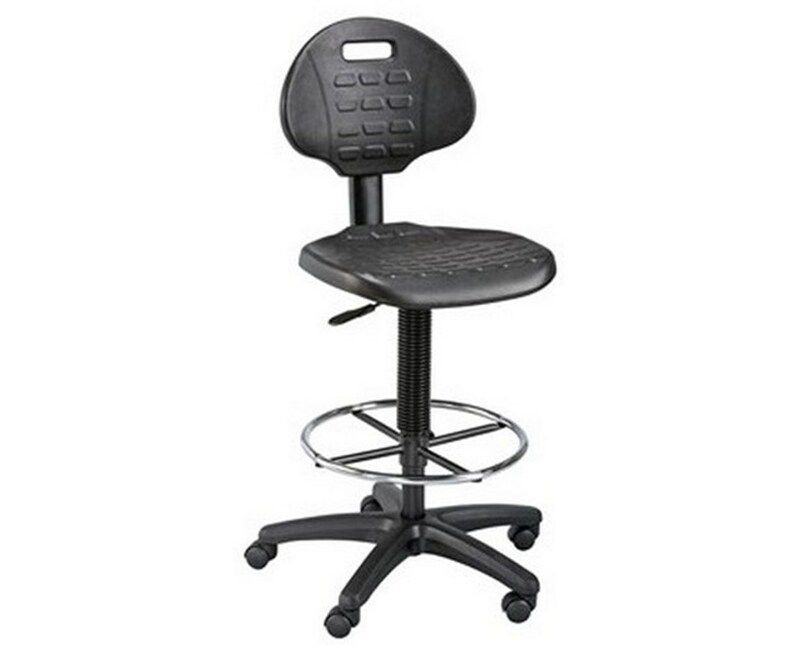 This drafting height chair comes with a sturdy and stable 25-inch diameter reinforced nylon base to provide a solid and steady foundation. For additional support and comfort, it includes an 18-inch diameter chrome foot ring with adjustable height. It features a pneumatic height control that allows height adjustment range of 23 inches up to 33 inches. The Alvin LabTek Black Utility Chair offers convenient sitting position with its hinged backrest that has adjustable height and depth. Equipped with a set of non-locking casters for total mobility and a set of floor glides for stationary applications, this chair is versatile. It comes in black color and can be easily cleaned.